Happy three-day weekend, everyone! 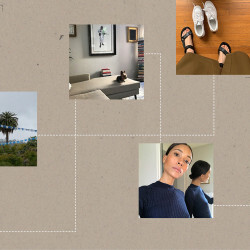 Since we’ve officially passed the point of arguing why you can wear white after Labor Day, we’re instead planning our end-of-summer (sigh) looks with the monochromatic trend in mind. Head-to-toe white looks modern and chic on everyone and is perfect for showing off the tan you’ve developed over the past few months. Whether you’re partial to a white leather mule, fun acrylic earrings, or a floaty dress, we’ve found the 15 pieces you should consider snagging for the holiday and beyond. Enjoy your beach day and barbecues in style. 1. Yummie 6-in-1 Shaping Tank: My go-to summer top is a Hanes undershirt knotted at the waist, but on days when I want something more polished but still casual, I reach for this. It hugs the body like a dream and doesn’t bunch, so you can tuck it into jeans or a skirt without worrying about unflattering seam lines. 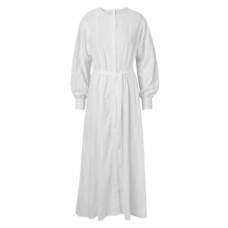 I definitely need this in white for Labor Day. 2. 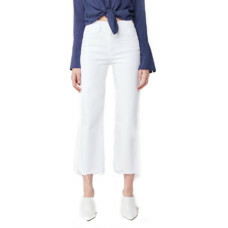 3x1 W4 Shelter Wideleg Crop: After years of exclusively wearing (i.e., squeezing myself into) skinny jeans, I’ve recently become a fan of wide-leg styles. They’re so comfortable! Catch me at a holiday cookout wearing these—with a napkin on my lap so I don’t ruin them with barbecue sauce. 3. 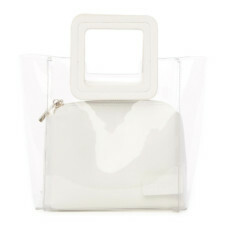 Bottega Veneta Microstud Olympia Bag: My love for Bottega bags has no bounds. The microstud quilting on this one really elevates an otherwise simple bag, and I’m a sucker for that signature weaving. Owning this may be the best way to soften the blow of summer ending. 1. Staud Mini Shirley Bag: The PVC trend isn’t going anywhere anytime soon, so I’m hopping on that train with Staud’s cult-favorite Shirley bag. 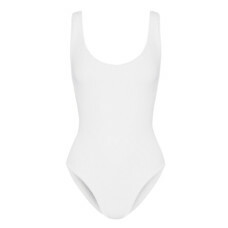 The mini version in white is perfect for going from the pool to the bar, aka my plans for the entire Labor Day weekend. 2. 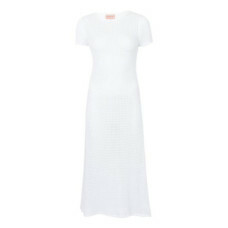 LHD L’eau Dress: A sheer-ish mesh dress is the ideal cover-up for my poolside hangs, especially over a slime-green bikini. But since it’s a holiday, I’ll also rock this at a friend’s barbecue over some cute boy briefs and matching bra. Because nothing says adulthood like coordinating undergarments and a see-through outfit. 3. 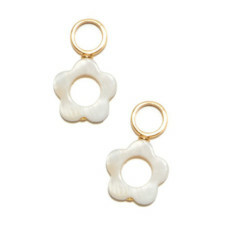 Lizzie Fortunato Far Out Charm: Lately, I can’t get enough of craft-inspired jewelry, which is why these Lizzie Fortunato charms are calling out for me to buy them. Paired with the gold hoops, my earring game will be seriously on point for all my weekend celebrations. 1. 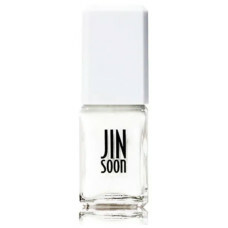 JinSoon Nail Polish in Absolute White: Eye-catching Wite-Out style nails on your fingers and toes looks 100 percent fresh and flatters absolutely every skin tone. 2. Merlette Kir Dress: This trending brand hit summer 2018 big with their white cotton dresses. This buttoned style can be worn 439,872 different ways whether your Labor Day blesses you with dogged heat or a little bit of chill. 3. Madewell Seamed Button-Down Shirt: I bought this top the other day when I was feeling a little too full of barbecue to wear something tight. The tiered seams make the cut flattering instead of boxy. 1. Intentionally Blank Willow Sandals: There’s something about a square-toed sandal that is so flattering on your foot. I wear these shoes with absolutely everything. The heel’s just high enough, too, that it gives your legs the few inches that we’d all like to have. 2. For Love & Lemons Virginia Lacy Blouse: I was walking out of a restaurant when I saw a woman wearing this exact blouse, and I shamelessly chased after her to ask where she got it. It’s so sweet and romantic. I’m looking forward to pairing it with some vintage 507’s. 3. Hunza G Seersucker Swimsuit: High cut with a low-back scoop is everything you ever need in a onesie. Plus, the material of this suit is super stretchy and forgiving—definitely a must-have for those dips into the lake post-picnic. 1. Jeu Illimité Chantal Slip Dress: Not sure if you’ve noticed, but there is a heat wave currently happening, and while they say it’s going to cool off for the weekend, I don’t believe it. 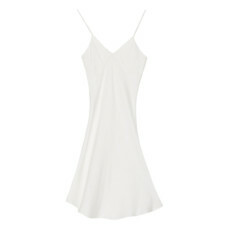 Hence this easy, breezy slip dress. It’s pretty much perfect, no? 2. 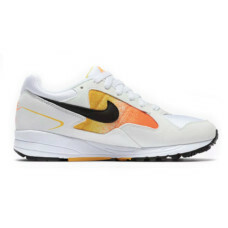 Nike Air Skylon II: Tell me these don’t remind you of the most perfect sunset. It’s pretty much all I see when I look at them, and it’s also something I closely relate with Labor Day weekend, making these guys the perfect sneaker for this weekend. 3. 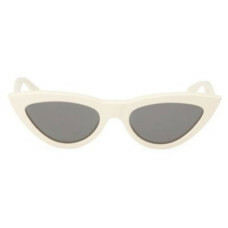 Céline 56mm Cat Eye Sunglasses: These sunnies have been on my radar for a while now. What better time to take the plunge than Labor Day weekend?